Eniva® Nighttime Release Formula® — Lean PM is a non-stimulant, liquid, synergistic blend of nutrients and botanicals designed to help promote healthy weight management in conjunction with a healthy diet and exercise. * It contains nutrients focused on accessing stored fat, promoting energy and fat metabolism and stimulating lean muscle mass development. Eniva's Nighttime Release Formula utilizes Eniva's proprietary advanced aqueous nutrient delivery system to promote enhanced bio-availability and absorption. 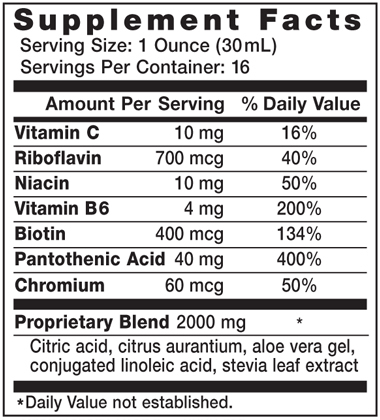 Plus, the product contains no stimulants, no artificial colors, no artificial flavors, and is guaranteed for purity. Note: Each person may experience different outcomes depending on their individual health status. Individual results may vary. Proper weight management should be accomplished in conjunction with a good diet and exercise. Eniva supplements are meant to assist the body's efforts in weight management and do not guarantee weight loss. Consult your healthcare provider before starting any nutritional supplement program/product. Ingredients: Purified water, citric acid, calcium pantothenate, ascorbic acid, natural mint flavor, sorbimacrogol, [sorbic acid, benzoic acid (protect freshness)], vegetable glycerin, citrus aurantium, safflower oil, niacin, aloe vera gel, conjugated linoleic acid, stevia leaf extract, pyridoxine hydrochloride, riboflavin phosphate, biotin, chromium (from chromium chloride). Directions: Adults: 1 ounce daily (30 mL). Take 1 hour after eating and at least 2 hours before sleeping. Shake well before using. Storage Directions: Avoid freezing and heat. It is normal and expected with natural extracts and ingredients some settling may occur. I have lost 7 pounds since I started taking this product, and I am very satisfied with it. I pretty much recommend this product to anyone. No side effects or stimulants. Just drink it, and you will have a wonderful fat burning while you're sleeping.